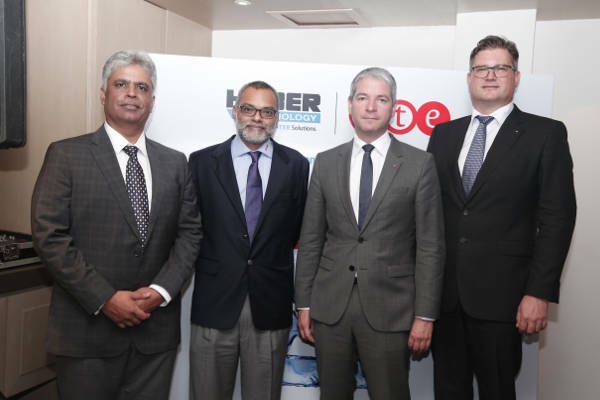 HUBER SE, Germany, a global leader in the field of water, wastewater and sludge treatment has decided to intensify its activities in the high-growth India and Bangladesh markets through a Joint Venture with the Mumbai-headquartered A.T.E. Group. 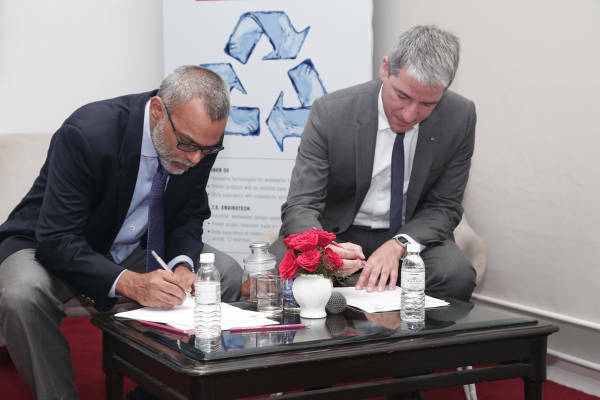 The JV will manufacture select HUBER SE products in India, represent HUBER SE in India and Bangladesh, and cater to wastewater treatment and recycling requirements in all parts of India and Bangladesh. “All of us see a lot of synergy by working together. A.T.E. Envirotech brings domain expertise in industrial wastewater treatment along with experience in project management, having executed a large number of projects in India and overseas, covering 10 countries. HUBER aims to reach out across India through A.T.E.’s pan-country network, as well as establish a stronghold in Bangladesh through A.T.E.’s presence in Dhaka”, said Mr Franz Heindl, Director International Sales - HUBER SE. With close to 700 employees and a turnover of 170 million Euros, HUBER group offers game-changing technologies in waste water management. It is a technology company committed to environmental protection with an aim to promote sustainable use of water, energy and resources. In September 2011, HUBER SE was officially granted the status of an authorised economic operator (AEO) of the EU. Traditionally, Europe and America are the two major markets for Huber contributing 60-70% of the revenue. India’s wastewater treatment segment is now showing promising growth potential and is expected to grow from $3.3 billion in 2015 to $6.78 billion by 2020 at a CAGR of 15.3%. Huber is expecting the India business to be the third largest market after Europe and America, together with China, in the next 5 years. The Company is also committed to manufacturing in India so as to reduce the import component in a step-by-step manner. A.T.E. Envirotech was established in 2000 offering comprehensive, innovative and cost-effective wastewater treatment and recycling solutions, including Zero Liquid Discharge (ZLD). As a result of continuous process development, A.T.E. Envirotech has introduced several novel methods for treating industrial wastewaters. The company, which became a part of the A.T.E. Group in 2008, undertakes turnkey projects as well as upgrades existing plants through value-added products and processes and caters to a wide spectrum of industries such as chemicals, petrochemicals, textiles, food and beverages, dairy, sugar & distilleries, and pharmaceuticals. HUBER SE, headquartered in Berching, Germany, is active worldwide in the field of water, wastewater and sludge treatment catering to municipalities and industries, providing solutions to the global water problems. Backed by over 175 years’ experience and with more than 40,000 installations worldwide, HUBER is one of the globally leading companies in the field. A.T.E. Envirotech is a part of the A.T.E. Group. A.T.E. is a multifaceted engineering group offering world-class products and solutions spanning several segments; textile engineering, cooling, wastewater treatment, flow technology, print and packaging, industrial IoT (Internet of Things), and energy efficiency. A.T.E.’s operations encompass manufacturing, industrial sales, distribution, service and turnkey projects. A.T.E. is spread across 14 locations (India and Bangladesh), employs around 600 employees, and serves more than 5000 customers across industry verticals. Click here to view the live coverage of the event.